What was once known as the Pacific Crest Pub and Hostel is now the Cascade Locks Ale House. New owners, new name but the same historical spirit remains in the old building upstairs. While the new owners do not have plans of intruding on an established ghost who resides upstairs the main floor is fresh with specialty pizza and beer on tap. 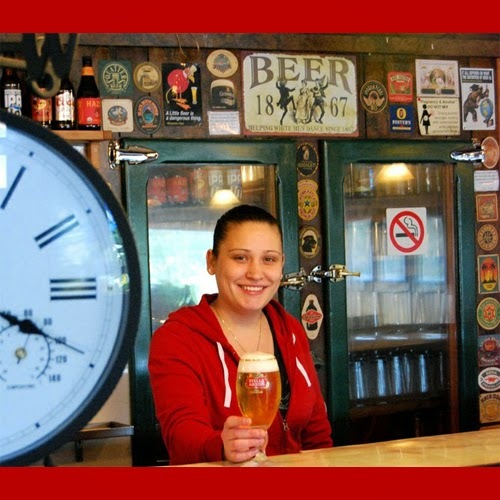 Learn more about the new Cascade Locks Ale House below. James would rather focus on the present and plans for the future. “Our current specialty is pizza. We make our dough fresh along with the sauce,” she said. James notes that plans are in the works to start a small brewery at the site within the next year or so, but a good selection of tapped and bottle beer is already available. The Ale House also sells a zippy, bottled horseradish sauce — a patented recipe — which is a favorite of locals and tourists alike. “We ship cases of this all over the country,” James said.